Welcome back to our weekly blog! This Friday we have been captured by the beauty of a dying craft; as well as being over the moon that we are incorporating all "Top 5 Office Trends" into our seating and furniture designs... read on to be in the know. Traditional craftmanship is thought to be a dying trade, "skills such as weaving, forging and soldering are in danger of being lost" according to the Heritage Crafts Association. This is partly down to the increase in technology and the new skills that this is opening up for young people. However it is sad to see that less and less people are interesting in learning the skills of so many centuries-old trades. 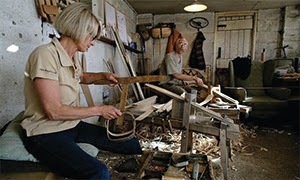 The co-ordinator of the Heritage Crafts Association has said that we not only have "an incredible range of craft skills in the UK and some of the best craftspeople in the world" but also that "these skills will only survive if they live in each generation". Therefore it's good to see a variety of competitions and exhibitions happening arcoss the country to showcase individuals work, in the hope to encourage more young people to learn these crafts. If you're interested then why not have a look at this article or at the Heritage Craft Association's website. It's also great to see young talent going viral across the internet. 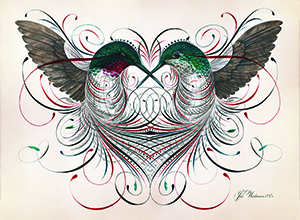 We found this article and fantastic video all about the youngest master penman in the world, Jake Weidmann. We hope you enjoy and feel inspired by his beautiful artworks. 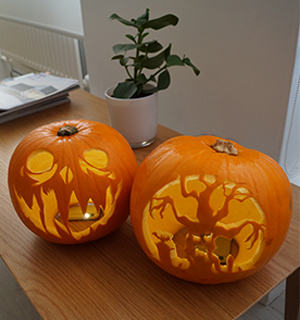 Want to see more age old skills? 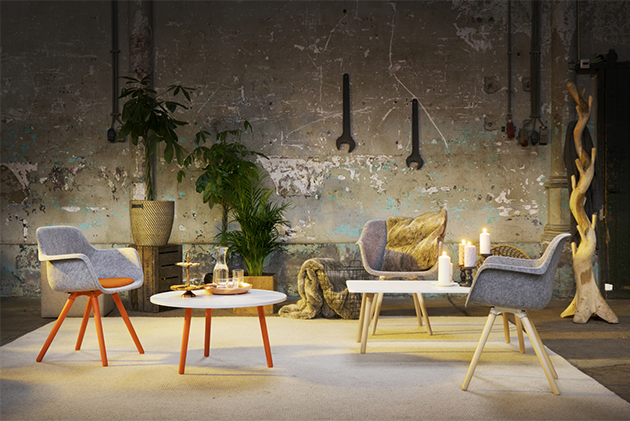 Want to see seating designed and manufactured using not only new technology but also traditional craftsmanship? Then why not check out our website and have a look at some of our products. 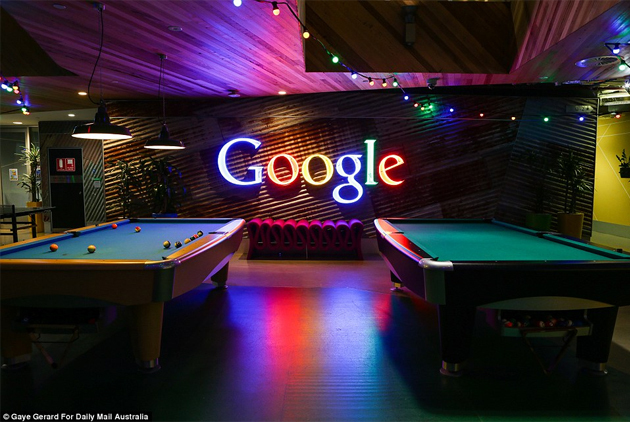 We really loved this article about the top five office trends from the 21st Century and thought that our readers would like to have a look too. It's incredibly exciting to see that we take all five into consideration for all of our products. Read on to see how we include these trends in our products. Open Workspaces: our Elements range creates great spaces for break out to collaborate as well as to find some privacy to recharge. Keep your eyes peeled for our new media unit that's being launched in 2016 too. Space Efficiency: with not only Elements but Chicago Modular and Jigsaw it's really easy to find something that will fit into any office space. Not only will it fit just right but it will enhance the way that your employees use the office for collaborative, break out spaces. Sustainability: Not only is all of our wood FSC certified but we also work to create products that can be easily dissassembled and recycled. At Nomique we are constantly working to create more environmentally friendly products. Please have a look at our website to find out more. Social responsibility: All of our products use a variety of components which have been produced in Europe and then shipped to us. We care not ony about our customers but also about our suppliers and where our products come from. We like to make sure that everything is from a responsible source and that our carbon footprint is as low as possible. Integrated technology: There are so many options for putting technology into our products and we are in the process of creating some stunning images to show you just how great your next order from us could be. Keep your eyes and ears on red alert as coming into the new year we will be releasing many, many more products and options to suit you! As technology evolves, with new gadgets being released every week, it's not difficult to see the changes between this and that of the industrial revolution. There's been lots of worry over the last decade as to whether British design has disappeared. This view has been backed up often by those looking at public design; many were disappointed by the changes to our iconic British telephone boxes and London buses. However, perhaps all of this just stems from our reluctance to look elsewhere for design. After all with technology there also comes the added option of working for multiple international companies. This means that lots of British Design is not staying in Britain but going overseas. This is not necessarily a bad thing though. We may be losing British design in Britain itself but it means that we are impacting on the rest of the world and not only that but we are also the hub of international design. Just walking through London proves this, from shop to studio, each and every one is different and very few are British. We may be proud to be British but we are also proud at how open we are to incorporating international design into our lifestyle. Nomique is a fantastic example of this, not only do we have British designers creating all of our product ranges, as well as all of our furniture and seating being created on site in Britain using traditional manufacturing techniques. We also partner all of this with European design inspiration, European Suppliers and up to date technology. By using everything available to us we are holding on to our heritage as well as helping to evolve the manufacture of seating. 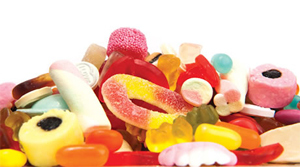 To read more about us and our product ranges please have a look at our website. The Guardian "British Design is not dead - it is overlooked"
The Guardian "London Design Festival: Has British design lost its way"
FT "Design industry must adapt to thrive"
The Guardian "Why doesn't Britain make things anymore?" We were only visiting this year but we went along to see what's new and therefore now avaliable for the hotel and hospitality industry. Of course we were most interested in the furniture but it was great to see such a wide array of exhibitors, with a great range of free gifts from stress balls to pix & mix and even colouring competitions. After all we're all big kids at heart! The main trend that flowed throughout the exhibit was solid wood. We saw it everywhere from the solid British Oak frames of the new Knightsbridge armchairs, to Egger's new product PerfectSense that showcases just how good wood based panels and edging can look. Not only was everything made of wood, or had wooden legs, or had matching wooden tables but it was also great to see that British craftsmanship is still a big part of this industry. We loved the outside of the Byzantium stand with materials and tools splayed out adorning the stand wall, showing furniture manufacture stripped down to it's bare bones. Overall we saw some great design and manufacturing skills and we hope to join them next year for a bit of friendly competition. After all British furniture manufacture is what we do and we'd like to show everyone how well we do it! 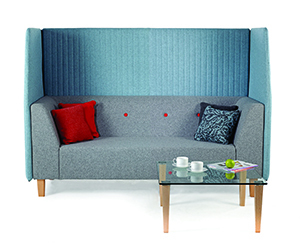 Please go to our website to have a look at how our furniture could transform your hotel, waiting rooms and lounge areas into colourful, classy and contemporary spaces where everyone will want to be. Our London trip to Sleep didn't end there though,with a third floor the exhibition just seemed to go on and on. The Sleep Sets were fantastic too, inspired by childrens fairytale stories it was great to leave reality behind for a moment and get lost in the art and design of these creative spaces. 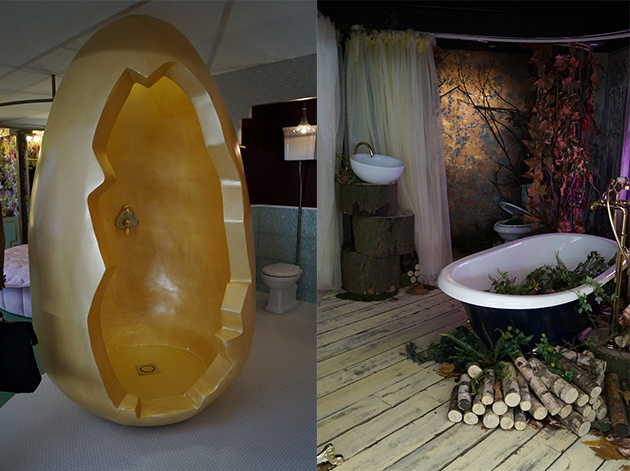 Our favourites had to be the outdoor bathroom and the golden egg shower! So we'll leave you with these photographs and the suggestion that you should head on over to London next year for Sleep 2016. Everyone seems to be discussing all the exciting new cycling options avaliable now and how this will affect our very near future. So we've been searching for the ultimate options when we came across Design Week's top 5 ways that designers have been improving our cycling experience in the UK. We suggest you have a look at everything they are suggesting but to quickly sum it up there's going to be "skycycle" networks starting in London, glowing cycle paths, spray on reflective paint, sustainable cardboard bikes and clip on bluetooth navigation devices. Sounds exciting doesn't it? Let us know your thoughts in the comments below. 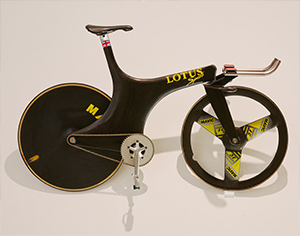 Not only this but there is even a new exhibition that's now been opened at London's design Museum to celebrate contemporary bicycle design. We found some great photographs of some of the bikes on Dezeen's website. Although if you get the chance to see the "High Performers, Thrill Seekers, Urban Riders and Cargo Bikers" up close and personal, we're sure it will be well worth the trip. So you're probably now wondering but what do bikes have to do with chairs? It's a good question and something that we've been getting more and more excited about. It's an Markant Oxidesk Bike and there have been very mixed reviews. This article certainly doesn't rate it very highly but it is certainly interesting to see the options that are cropping up in the not so traditional officespaces these days. Perhaps the Oxidesk really isn't what you're looking for but there are plenty of other options to increase your movement in the workplace. 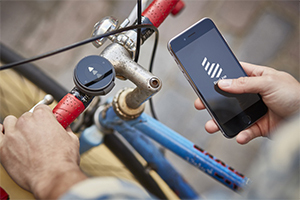 Although perhaps you may feel that cycling to work and back every day is enough exercise. Did you know that sedantry sitting for all the hours you are at work can often cause illnesses such as diabetes, back pain and heart disease. Therefore movement at work is crucial if you wanting to keep fit and healthy. 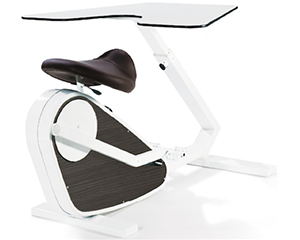 Something like the standing desk bike or a trendmill desk could work really well for you. 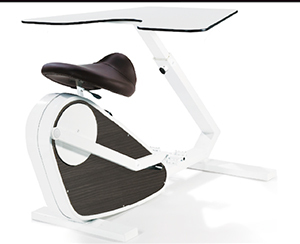 However if you're not one for getting sweaty in your smart work clothes there are other options such as adjustable standing desks, have a look at our blog from last week to read all about these. Standing desks work fantastically with our Axia Smart Chairs. 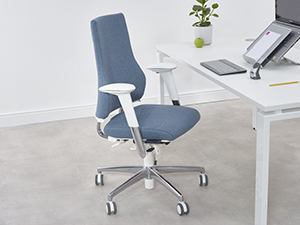 Have a look at our website to see how this chair could work for you or give us a call on 01952 585828 so we can answer any questions you may have about movement in the workplace. 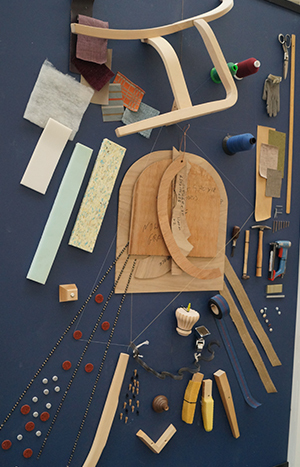 Enzo Mari created a manual in 1974 as a guide to building furniture with as few tools and materials as possible. 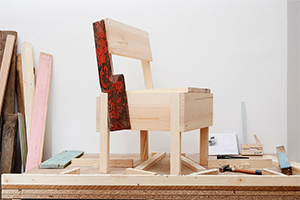 His furniture is now being reproduced with his permission as a way to teach refugees how to design and build furniture. This has all happened with support from the CUCULA organisation that also offers general education, assitance with language skills and legal advice for refugees. There is much more to this story in Dezeen's article as well as lots of photographs of the chairs and their designers. We thought this was a great story to tell and it's fantastic to see the craft and love that's gone into each one of these chairs. Design is all around us and is always there when we need something to bring us together. We's like to thank Jean Jullian for creating the above symbol of peace. 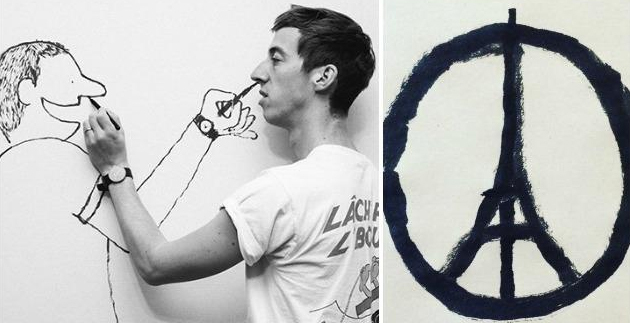 Solidarity Paris. This week we're looking at movement in the workplace, plus what's hot and what's not when it comes to sit stand workstations. 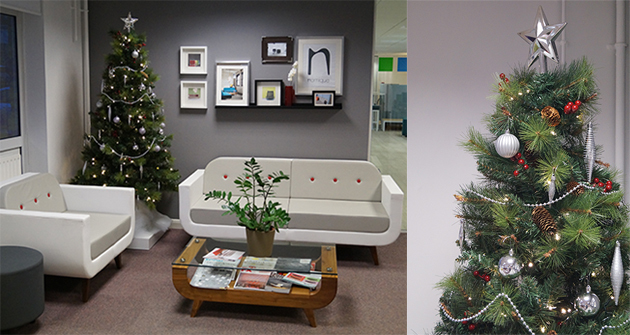 Firstly we want to give you some great ideas for keeping warm in the office this winter. We are suggesting that you get out your chair and deskercise to keep warm, fit and healthy. Not heard of deskercising or need some more ideas for your current routine? 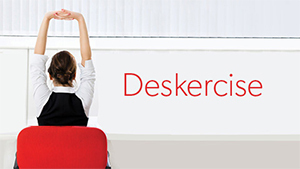 Then have a look at these top 10 deskercises to get you started. 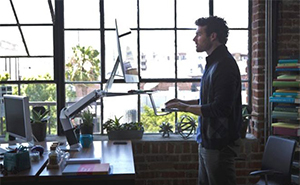 If you are already a king or queen of deskercise and you're looking for new ways to increase your movement at work, then you might have looked into the trend of sit stand workstations that's getting more and more popular everyday. 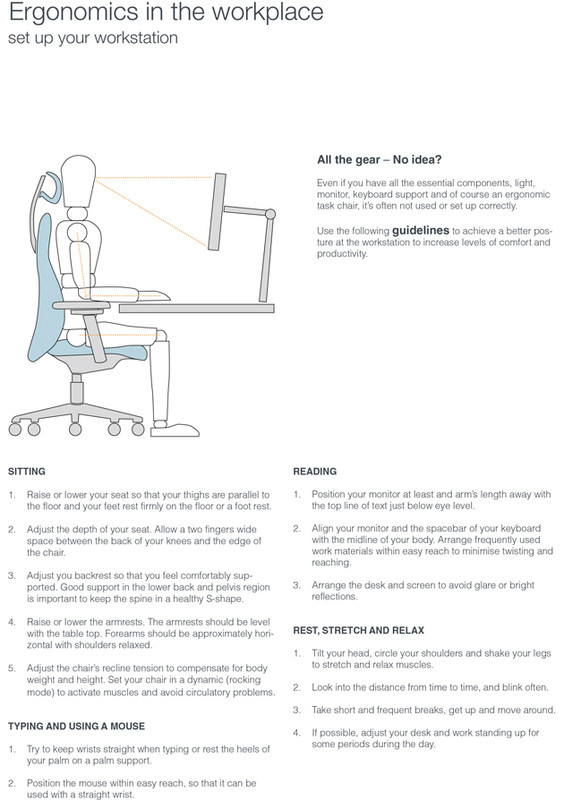 At Nomique we are getting really excited about this new drive for movement in the workplace. 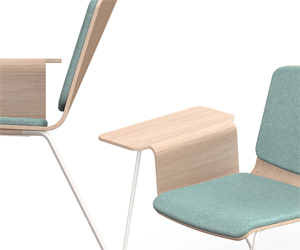 As a manufacturer of office seating we are constantly looking at ways to make our chairs more movement concious. 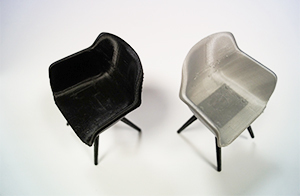 Our synchro and ISB mechanisms on our task chairs, can both be used in a "free float setting". This helps the user to activate their core muscles and prevents them from sitting too statically. Furthermore the signal from our Axia Smart Chair can not only be used as a trigger to correct your posture but also as a reminder to work standing up for the next 30 minutes. Although Nomique do not produce sit stand workstations, our chairs are perfect examples of seating that could be used in conjuntion with them, so we were keen to find out more. Firstly we looked up the pros and cons of the standing desk concept, to get an idea about the health benefits and the not so beneficial apsects. During our searches we came across this great article from notsitting.com that outlines everything good and everything bad about these standing desks, including ways to make them work better for you. The main reaction across the web is that standing desks are a fantastic way to lose weight and reduce the risks of diabetes, heart disease and bad posture, which are all things we should be scared of if we're sitting at a desk all day. However, we felt that we needed some more inside knowledge about the trend that's catching on fast and that's when we found this article by Chris Bowlby who tried out a standing desk for himself. 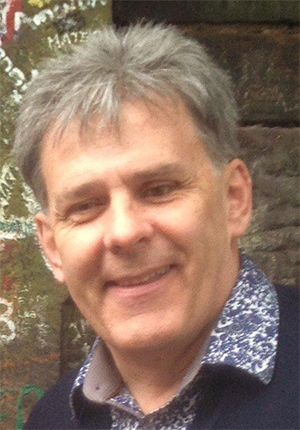 Have a look at his thoughts here on the BBC news website. There have been lots of questions asked about sit/stand workstations, such as "what's the best one?" or "what can I do if I can't afford one?". 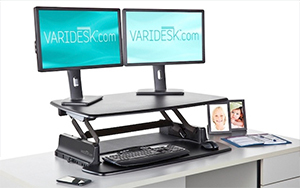 Therefore we went on the hunt for what the world thinks are the best and found this article all about the top of the range and the easiest to adjust desking systems. The funniest part of this article though was seeing people's make shift at home versions. After all who doesn't want a desk made using Coco Cola cans and when all you've got is a plastic box it shows that that will do the job almost as well as the "Ergotron Workfit". Well perhaps not but we can all hope that one day soon it won't just be Denmark that has made it mandatory for employers to offer standing workstations as an option to all employees, but hopefully the UK will catch on too. The other question and the one that we find the most interesting is that all of those people who have caught on to the trend of standing at their desks, now don't know what they should be wearing. Standing up means that outfits are on show all of the time, skirts and suit trousers don't get creased and feet start to hurt. So what are our options? Well we found this great article on what to wear by The New York Times, so if you feel like you could use some tips then have a read about what these people in the know have picked out as the best options for standing up and looking good. Now we've all heard of Upcycling and it's now getting more and more popular across the UK. In fact it's getting so trendy that artists and craftspeople are setting up businesses relying on what they can find in skips! We came across an article about two homeware entrepreneurs who have set up their own buisness called "Forest and Found" in the heart of London, in their back garden workshop. It's all about using waste wood that they've found on the ground or in bins and turning it into something new and unique. 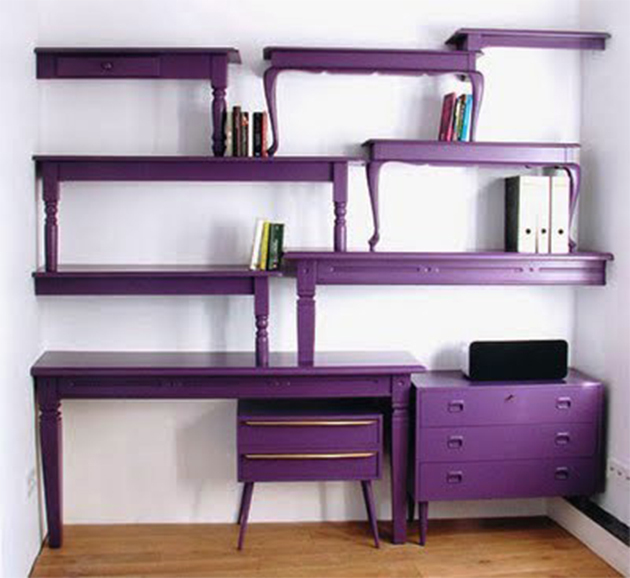 Our favourite piece of Upcycling that we've found so far is this fantastic desk and shelving solution. All that's missing is one of our task chairs... have a look at our website for some options. Also we would love to hear from you in the comments below with your ideas, inpiration and links to any exciting Upcycling, standing desks and your favourite deskercises. It's finally Friday! With colourful leaves swirling and falling all around it's definitely Autumn and not only that but it was the 5th of November yesterday so I hope you've all got lots of firework displays and massive bonfires planned for this weekend. 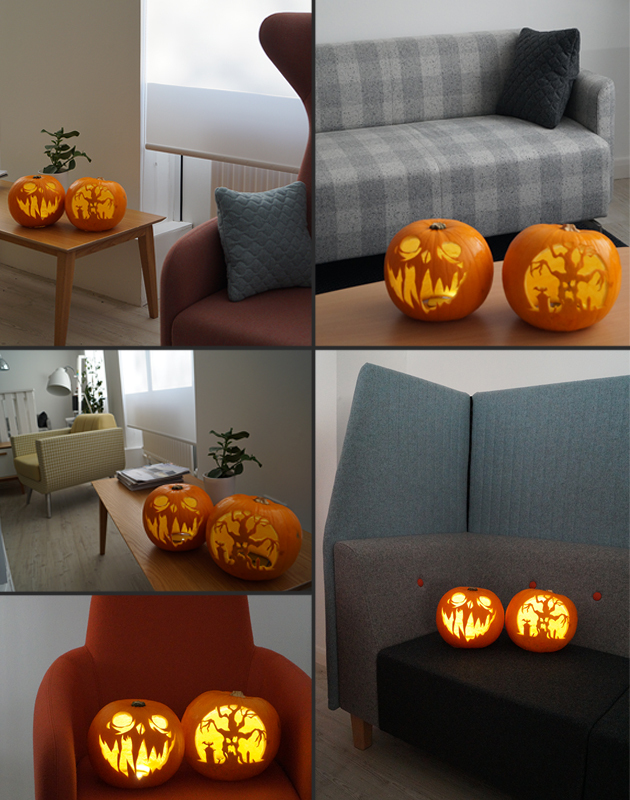 Not only have we been getting excited about bonfires and fireworks at Nomique this week but we also couldn't wait any longer to spread the news of the official start of our 2015 student competition. 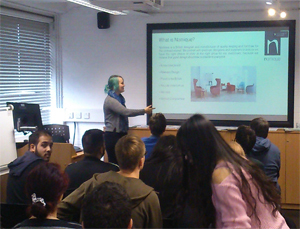 This week Isobel Coleman from our marketing team went to the University of Wolverhampton to announce the funiture competition to all those passionate creative students studying Interior and Product Design. The presentation included telling them all about Nomique and introducing the competition design brief. Lots of questions were asked and Isobel felt the students had a very clear idea of what they now need to do to be in with a chance of winning. 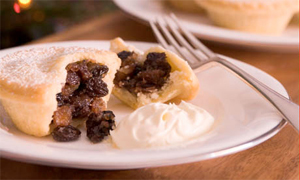 With cash prizes for the top three winners, as well as a tour of Nomique for the first prize winner we're sure there will be lots of entrants. We look forward to telling you more about the competition and the students fantastic design work as we get ever closer to the Wednesday 16th December competition deadline. If you are interested in finding our more about the University of Wolverhampton or the courses that they offer then why not have a look at their website. 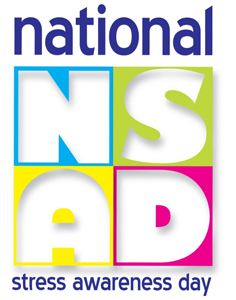 It was "National Stress Awareness Day" on Wednesday 4th November and we've been catching up on all things stressful. Our student competition applicants all have plenty of stress ahead of them but did you know that people don't only suffer from stress during study but that stress also follows people throughout their lives, even into the workplace. The Mental Health Foundation suggest that there are over 13.3 million working days lost every year, due to stress, depression and anxiety. It's great to see that National Stress Awareness Day has been trending all across the world on Wednesday as people come together to relate to one another in the form of hashtag expression. We found this great article that explains why this has become such a hot topic this week. As well as being aware of stress it's just as important to act on it and find ways to reduce stress in the workplace. We found this great article about just that. One of the ways for employers to decrease that stress, as mentioned in the article above, is to create break out zones in the workplace, for staff to move away from their desks and communicate with each other. This can help to increase wellbeing and productivity throughout the office. If you are looking for ideas for those stress free zones then you have come to the right place as Nomique have a huge range of furniture suitable for all types of break out. Check out our website for some inspiration or pick up the phone and dial 01952 585828 to see what we could do for you and your stress.